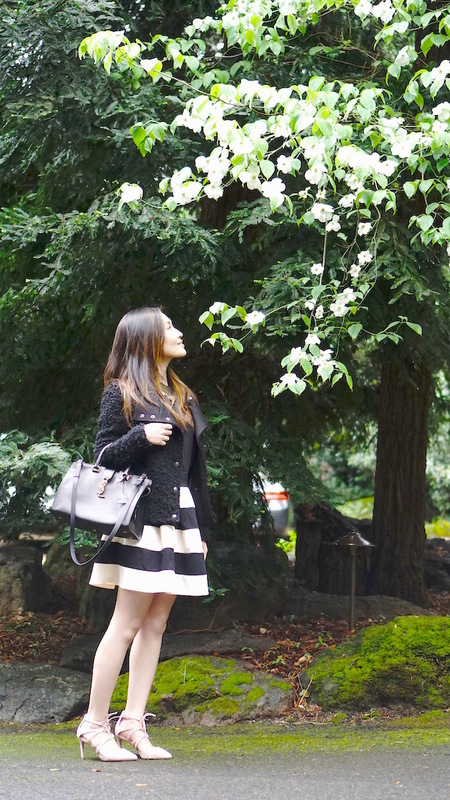 A couple of weekends ago, we went to wine country and indulged our inner foodies at The Restaurant at Meadowood. 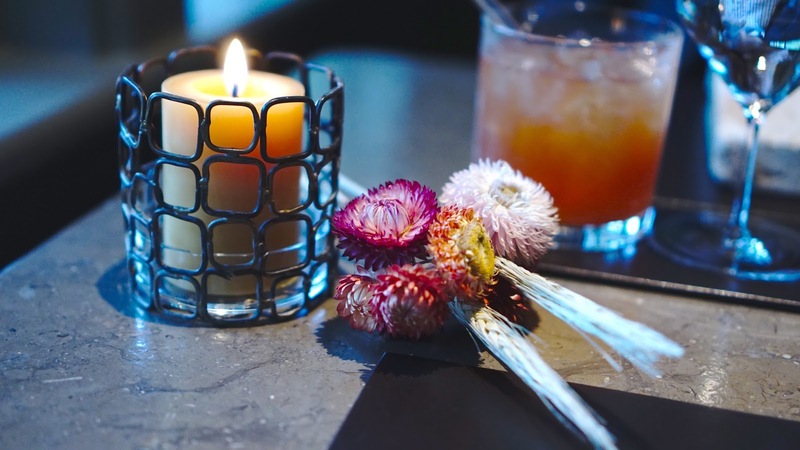 We expected nothing short of culinary amazingness and were surely blown away! It was chilly and gloomy that evening with a light drizzle, but I ended up wearing a striped midi dress that was perfect for this elegant restaurant. The length of the dress was just right and I didn't feel cold wearing it, despite the chilly weather. 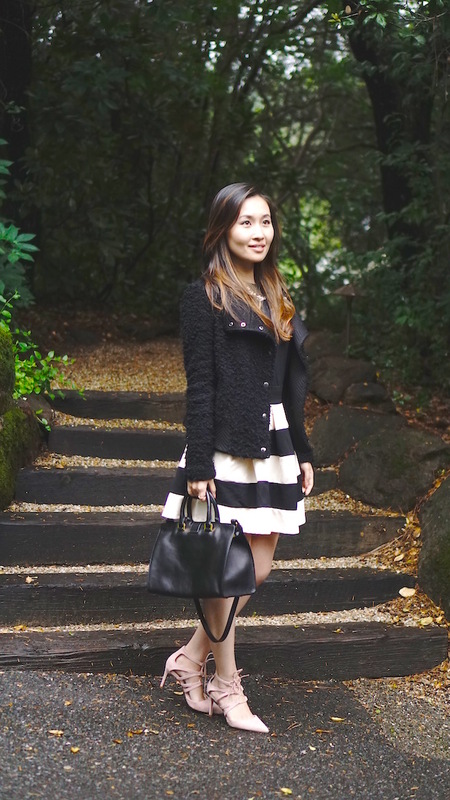 I also brought along my all time favorite - my black curly wool jacket from Banana Republic. It never fails me if I want to add a pop and timeless style to any outfit. I also wore it in this post to dress up my plaid shirt. I've also wore this striped skirt from Modcloth to my trip to New York when we went to Per Se. I really liked the flower they picked from their gardens for table decor, I took it home and used it as a decor myself! 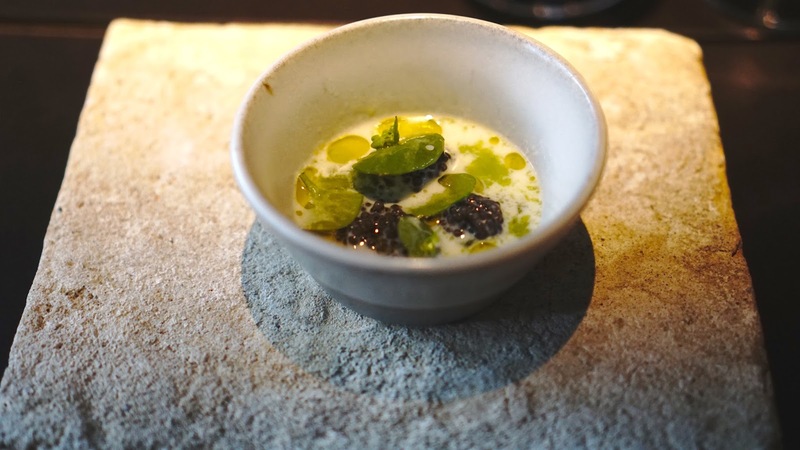 Asparagus raw milk caviar with olive oil. Very creamy with a melt in your mouth texture, it was a great way to start off the dinner. 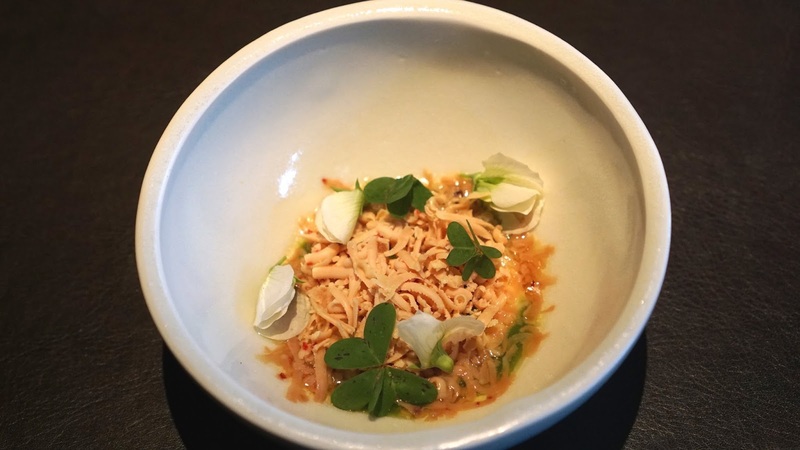 Potato Clam Koji Foie Gras with Cod Cabbage and Whey Oyster. I usually don't like foie gras that much (I know, I'm missing out) but I really enjoyed the way it was shredded and blended in seamlessly with the sauce. 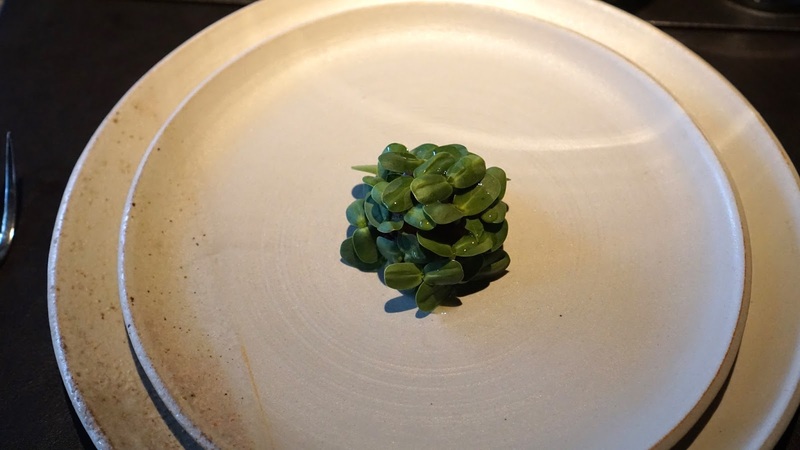 Cod Cabbage Whey Oyster. This was divine! 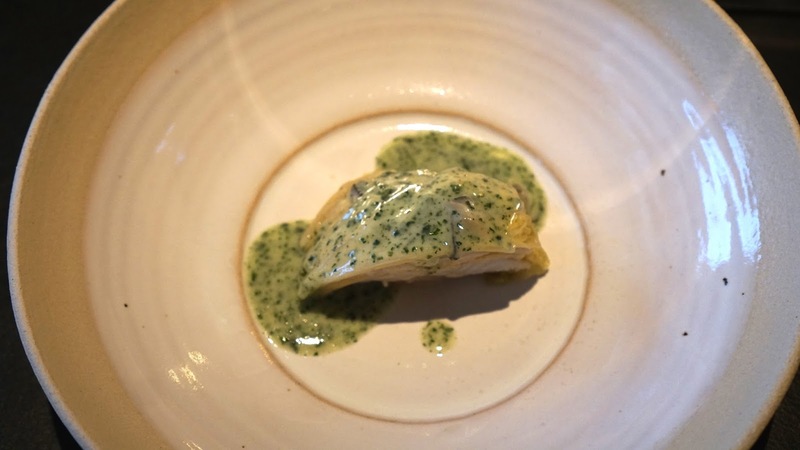 The cod was cooked using a full head of cabbage as the vessel, and then covered in a sauce made from the oyster. The cod was silky, flavorful, and perfectly cooked. Spring Lamb Garum Artichoke. I love the plating of this dish! The artichoke leaves were placed all over the lamb so we were a little confused upon seeing the dish, but once we dug in we were sold. These look like ordinary bread but it was one of the best I've ever had! This was an Egyptian bread topped with sesame seeds and then brushed with some olive oil. They served these with the lamb dish above and are actually hallow, so we cut them in half and filled the pockets with the lamb to make some really fancy hot pockets! 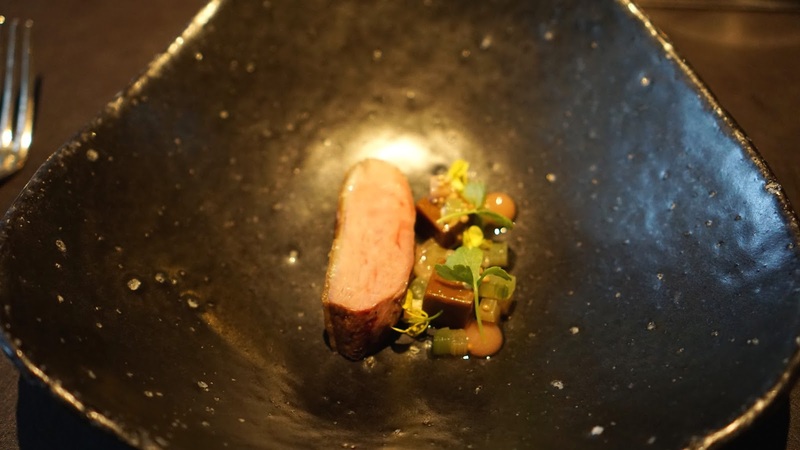 Duck "Fudge" Rhubarb Mustard. Truly unique experience with the duck fudge. The texture was similar to caramel fudge, but made out of duck! The fudge is actually served a little cold to make sure it stays solid, but plating it near the duck perfectly tempers the fudge so that it gets that gooey fudge texture we're all familiar with. Definitely some technical cooking here! Black Truffle Cheese. I usually don't eat a lot of cheese since I'm lactose intolerant and cheese courses at restaurants aren't usually my thing. However, this cheese course was amazing! 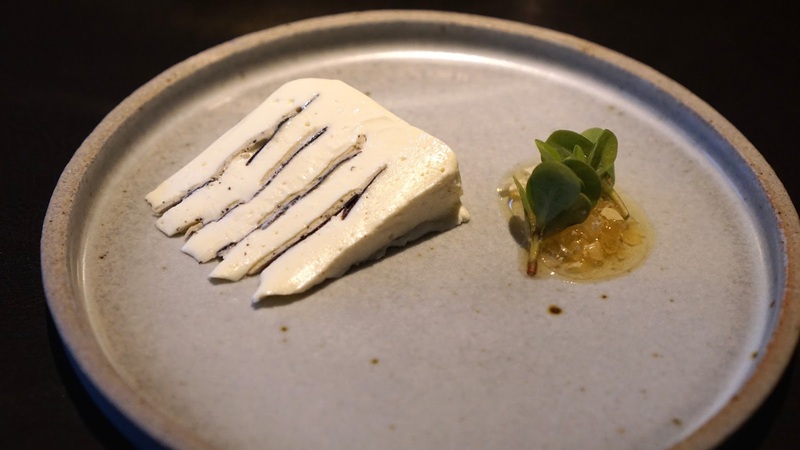 Inside is filled with black truffle and it gave the cheese such a rich flavor. 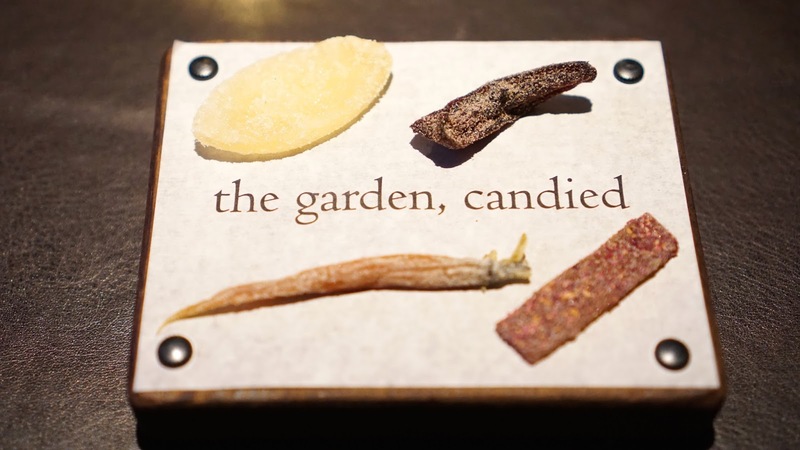 The Garden, Candied. Another creative and unique take on something seemingly simple, but no one would have thought to make candy out of veggies! Freshly picked from their garden, the veggies are dried and then coated with some sugar and spices. One of my favorite dessert of all time! Overall we loved our experience at Meadowood! 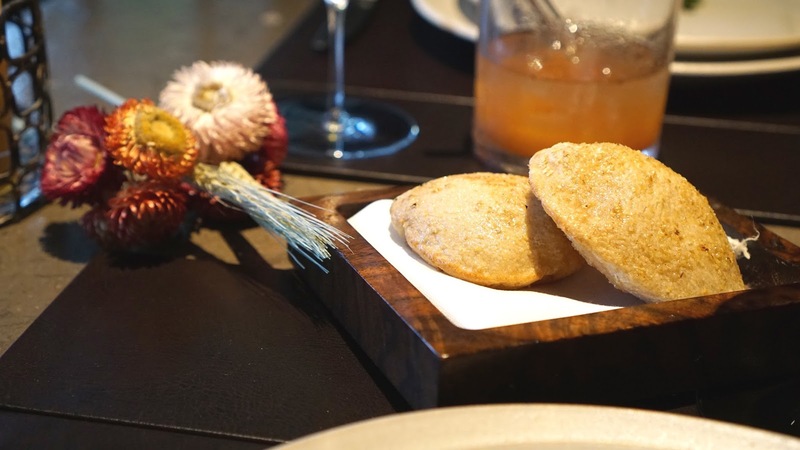 It's quite a drive and is quite extravagant, but if you pride yourself in being a foodie this is definitely not to be missed. OMG! Very cute, food & you.